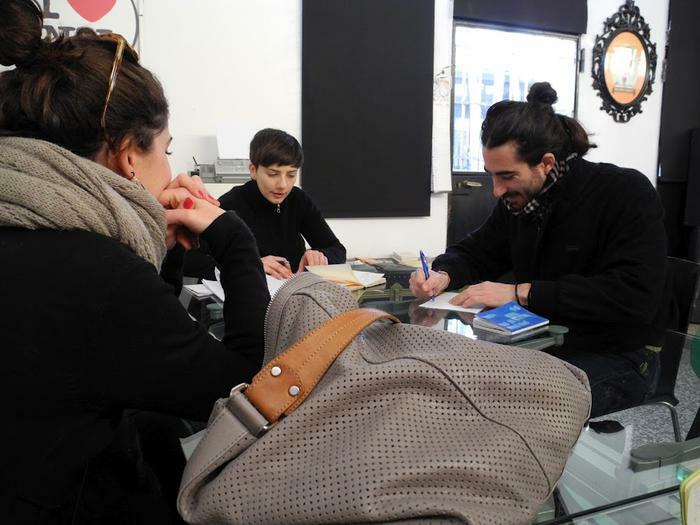 Nomicosecittà stems from the encounter between Aste e Nodi, an informal local development agency from Naples, and the Artist Mary Cinque. 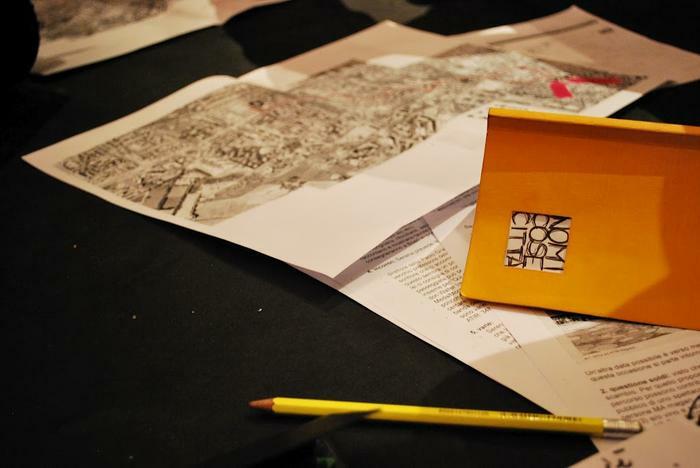 It took place for the first time in Naples in 2011 in collaboration with the curator Marcella Ferro. 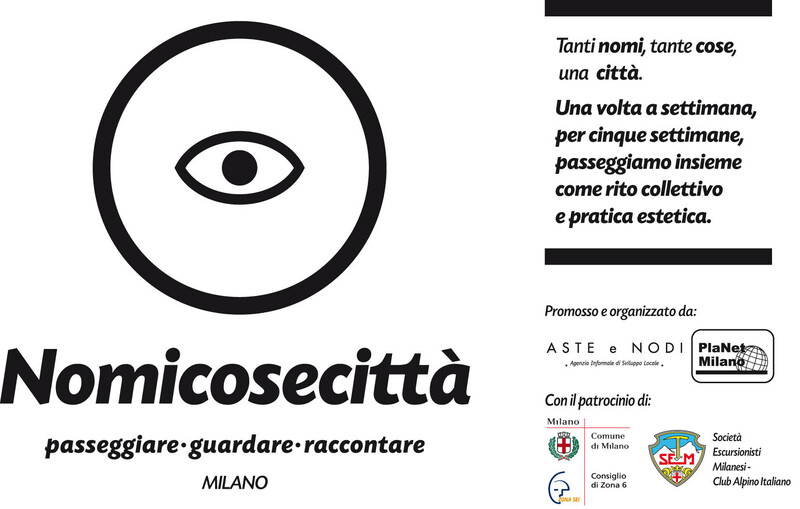 After the success of the first edition in Naples, Nomicosecittà is now at its second edition there and has started in Milan thanks to the collaboration between Aste e Nodi and PlaNet Milano, an association of students and graduates in urban planning from Politecnico di Milano. The contemporary city is richer in contradictions than the cities of the past. New populations, new habits, new ways of living the city question our urban experience and suggest to look at the city "with different eyes" and with new sensibilities. Through Nomicosecittà (NCC) we stimulate a new gaze on cities, on their heritage and on their life, while we cross them with both our bodies and our ideas and we reflect on a wider idea of "beauty". 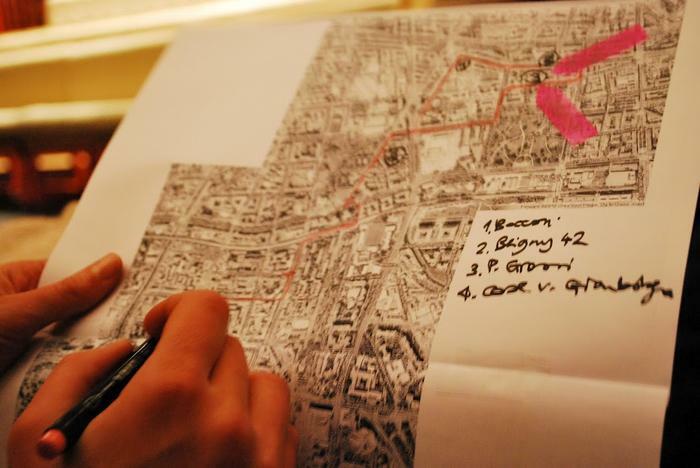 The act of walking through the city becomes a movement between different urban geographies and various populations that make the walkers aware of the variety of possible views on the contemporary city. 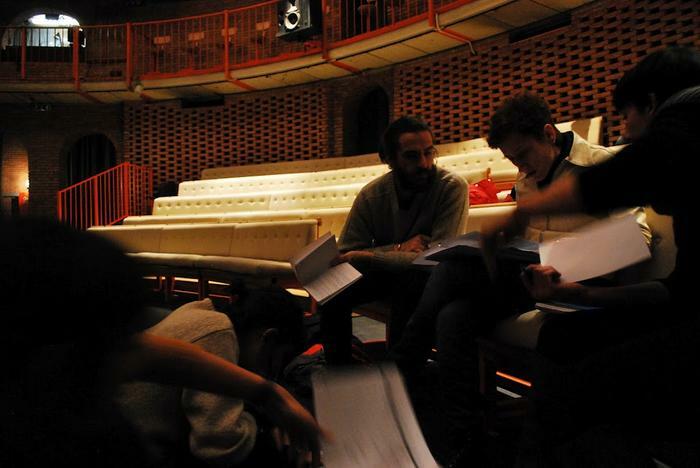 NCC usually takes place within 5 weeks during the spring: the citizens are invited to walk together as a collective ritual and aesthetic practice, while local associations, schools, libraries, theaters, shopkeepers etc. are involved as a fundamental component of the walks. The participation of the walkers is so important to NCC that each of them receives a sketchbook on which they are asked to draw and write their emotions and impressions. The sketchbooks become part of the final "tale" of every edition of NCC, a tale made of the words of the writers, the notes of the musicians, the artworks of the visual artists, the pictures by the photographers who share the vision of NCC and many more. Nomicosecittà Milano is a story of encounters. It is the encounter between Simona Colucci (Aste e Nodi - Napoli) and Samantha Belotti (PlaNet Milano), who led to the collaboration between the two associations with the involvement of other members of PlaNet (Ida Castelnuovo, Valeria Inguaggiato and Gloria Pessina), as well as of the photographer Francesco Secchi. 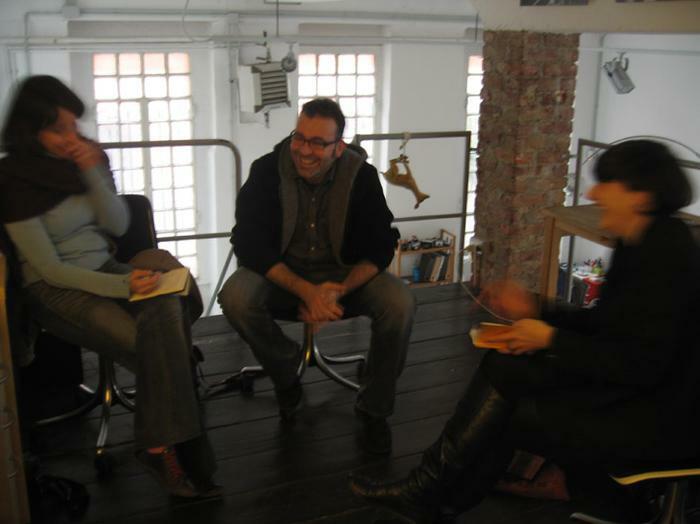 It is also the encounter between the organizers and the artists, who have a strong relation with Milan and share the spirit of the project: we have tried to create a rich dialogue with them in order to create walks in which individual and collective stories could be kept together. NCC Milano is also the story of a challenge. The challenge to try to bring this dense initiative to Milan, a complex and intricate city, trying not only to keep, but also to strengthen its capacity to create ties and stimulate new reflections on the city. The initiative, free and open to any citizen, owes much to the great availability of the artists who gifted time, energies and ideas to the project and to the contribution of the associations and other people involved in the walks, who strengthened the passion of the organizers. The initiative has been successful thanks to the active participation of the walkers, careful and curious observers. 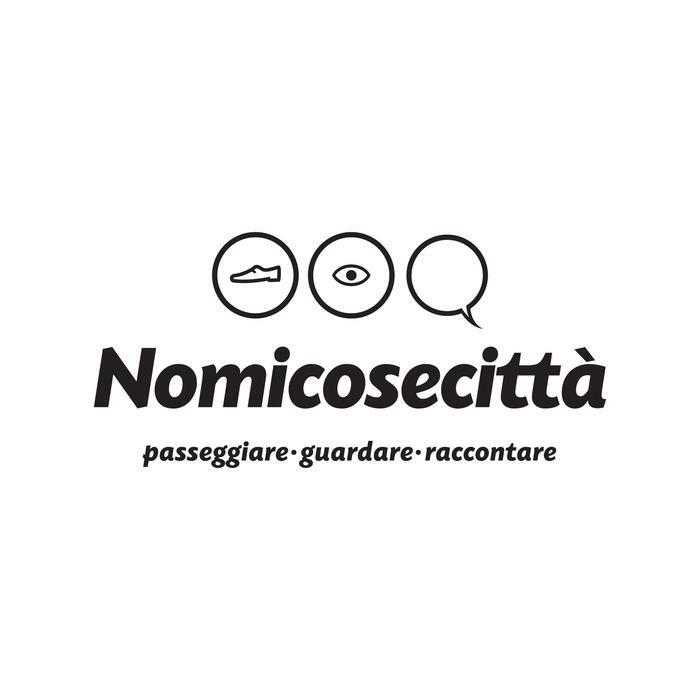 NCC Milano has been supported by and has obtained the free patronage from SEM (Società Escursionisti Milanesi - CAI Milano) and from Zona 5 and Zona 6 of the Municipality of Milan. All these people made NCC Milano possible and to them we give our thanks. After a year of meetings, emails, calls, rehearsals, emotions and some misunderstandings, here is an attempt to give an idea of the month in which the walks took place. 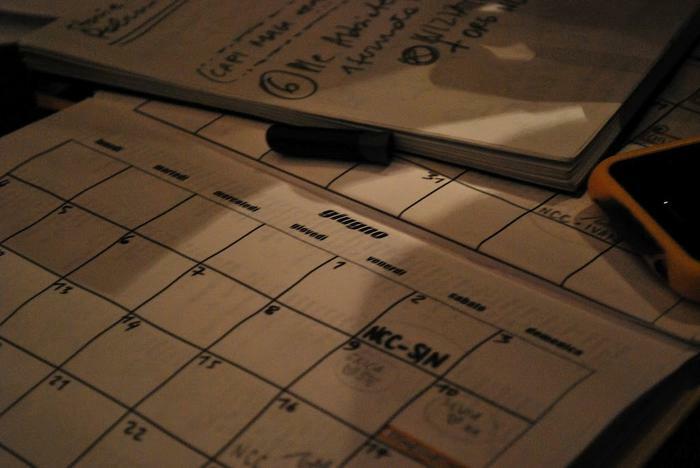 Click on the different walks to read a brief report, enjoy... and stay tuned! Casa Galimberti, Corso Buenos Aires, via Sirtori, the Pizzeria di Rosy e Gabriele, the crime stories of the past and the present, the clashes in via Regina Giovanna, the orthodox church, the misteries of via Tadino, the theatre, the sequins and the café where Ruby used to work, piazza Argentina. Viale Cassala: "Poesia lo sciopero migrante", Villaggio Barona, ZAM, arci Biko, arci Bitte, La Gelateria della Musica, via Bussola 4: the house of the poetic assault. The home, Bocconi University, Bligny 42, the Paolo Grassi school, the austere villas, the music, 60 associations, piazzale Abbiategrasso, Fabio's Republic Day, Teatro Ringhiera. The phantom of Carlo Imbonati, the kalashnikov gang, Mrs.Gianna's milk shop, the chocolate factory, the former Carlo Erba tower, Maciachini Center, the memories, the drums. Parco Nord, Carroponte, the former Pirelli factory and its village, the urban voids, the buildings in via koerner, the gardens on top of the railway and the “vertical wood”, temporary green in the historical city and the historical climbers.